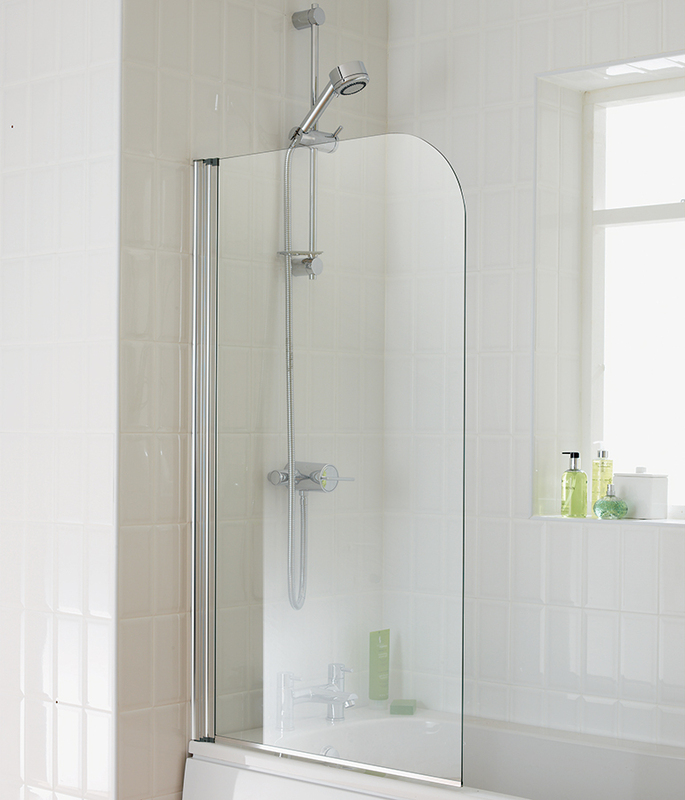 Rounded edges and an ultra-convenient design makes the Chelsea 750 x 1300mm Overbath Screen a beautiful and simple way to screen in one end of your tub to keep the floor dry when you're showering. 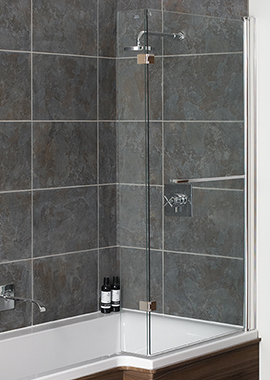 A chromed finish wall profile and bottom trim give the screen a lustrous shine and a sleek metallic look, and the rounded corner adds to its elegance. 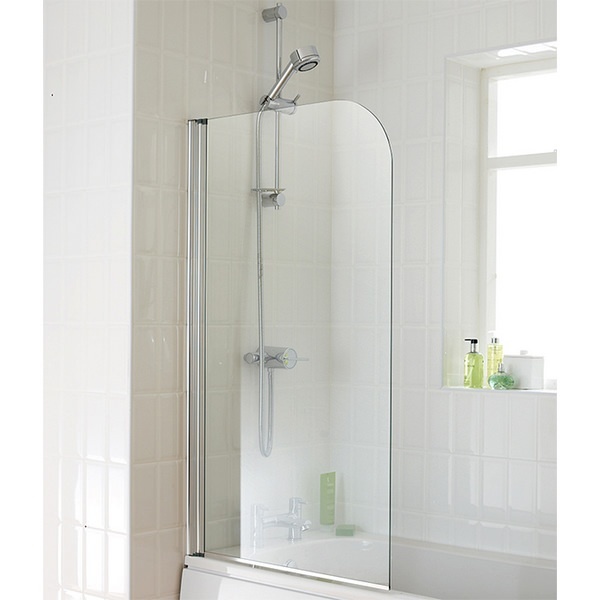 Made out of heavy-duty safety glass that is 5 millimeters thick, the panel swivels inwards and outwards, so you can get in and out of the shower with the utmost of ease. 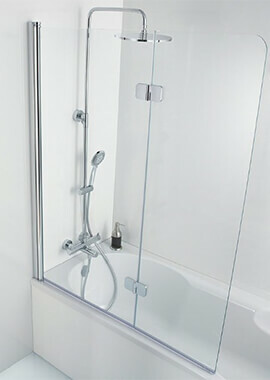 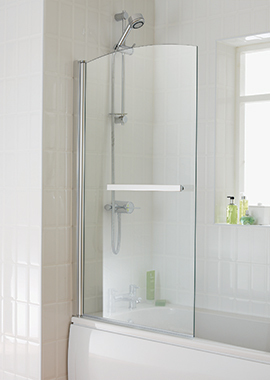 With its universal design, the screen can be mounted on either side of your tub quickly and securely. 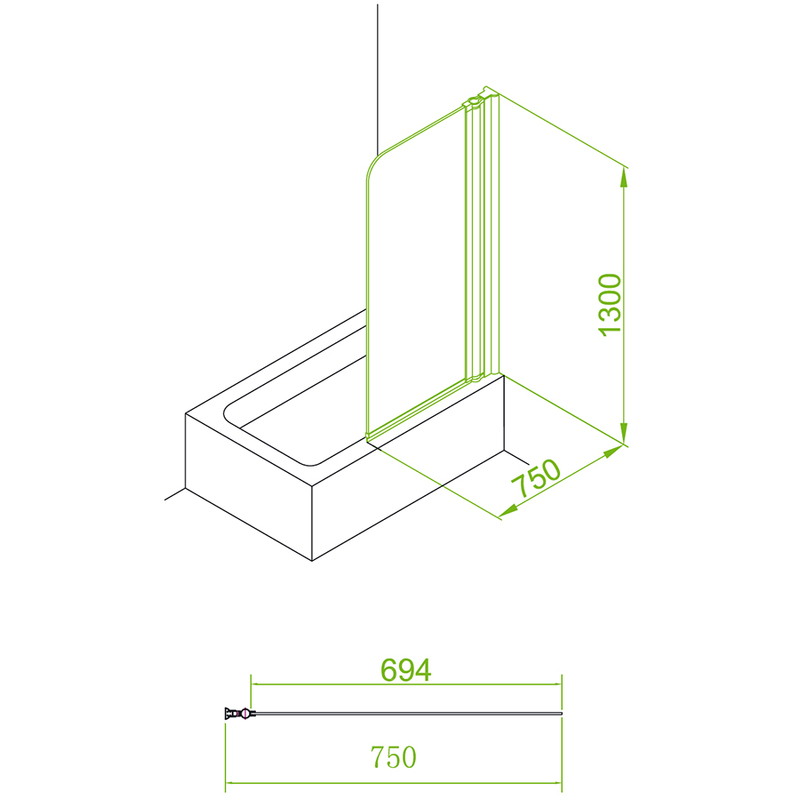 The screen is 740 millimeters wide by 1300 millimeters high and is sold with the protection of a 5-year manufacturer's guarantee.